The Endeavour arrives in Whitby. Picture by Sam Jones. Crowds packed Whitby harbour and canons sounded to welcome the Endeavour back to its spiritual ‘home’. The replica vessel has made the journey along the coast from Middlesbrough to its new base in town where it is set to form a popular visitor attraction. Owner Andrew Fiddler, who bought the ship at auction last autumn for £155,000 beating bids from Dubai, Portsmouth and London, said: “The ship was in a pretty poor shape when we purchased her, with rotting wood, worn fittings and spaces that didn’t do justice to the story. While we’ve retained and restored many of the features, we’re planning to bring the story to life in new ways. Earlier today the 33-metre long ship embarked on its final voyage, leaving A&P Tees dry dock in Middlesbrough, where it has been extensively refurbished and repaired, to travel 40 miles down the North York Moors coastline to reach Whitby by the early evening. In April the Endeavour’s eventful journey began from Stockton-on-Tees where the landlocked status of the vessel meant it had to be hoisted by crane five metres into the air to overcome the narrowness of the lock gates at the Tees Barrage. Once berthed on Whitby’s quayside, the ship will undergo a further refit to transform it into a family-friendly attraction before opening on July 1 just ahead of the town’s Cook anniversary celebrations. To complete the tall ship’s transformation, the owner, Whitby entrepreneur and ex-Naval officer Andrew Fiddler has appointed leading interpretation and graphic experts, Huddersfield-based Leach, whose previous commissions have included Titanic Belfast, Cutty Sark and World Museum Liverpool. The attraction will also enable visitors to learn more about the expedition’s scientific discoveries. For instance how the astronomical phenomenon of the Transit of Venus improved navigational accuracy, and the wealth of strange new botanical and animal species collected as the explorers charted the coast of New Zealand and the eastern coast of Australia. 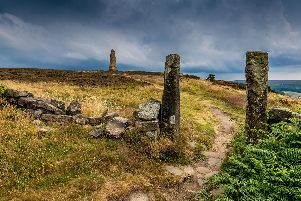 The North York Moors National Park has provided support through its Coastal Communities Fund project as well as a Local Distinctiveness & Tourism grant towards the attraction’s marketing and product development. Scarborough Borough Council has given its full support to the tourist attraction establishing a new home in Whitby. The leader of the Council Cllr Derek Bastiman has worked very closely with Mr Fiddler from the outset when Mr Fiddler telephoned to say he had bought the Endeavour. The council’s harbour team has also worked very closely with Mr Fiddler to agree a suitable berth for the Endeavour and its tourism team are ensuring all opportunities to promote it, including the star role it will play in the Captain Cook Festival, are maximised. The Endeavour Experience is due to open on July 1 just ahead of the Cook250 Festival Whitby which takes place July 6 to 8. More information on the Endeavour will be available over the coming weeks online: www.hmbarkendeavour.co.uk. The Endeavour makes its way to Whitby. Progress on the ship as it was refurbished in a dry dock in Middlesbrough. Picture: Charlotte Graham.